Home | 2013 | September | 9 | Cheer Power! September 9, 2013 CheerleadingFootballComments Off on Cheer Power! 38, 39, 40, and 41. 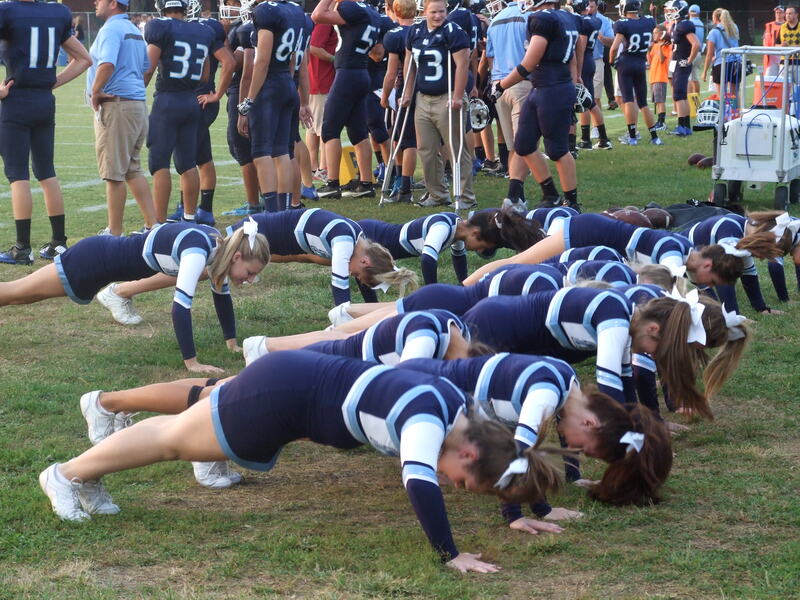 MD cheerleaders doing the traditional push up after each score at the football game Friday night against Nashville.